Tip: The parking garage at the Museumsquartier charges a low daily rate of approx. 10 Euro. There is a short term parking area with a fee in the center of Vienna from Monday to Friday between 9:00 and 22:00 o'clock. The maximum parking time is 2 hours and you have to pay approx. 1,05 Euro for every 30 minutes. 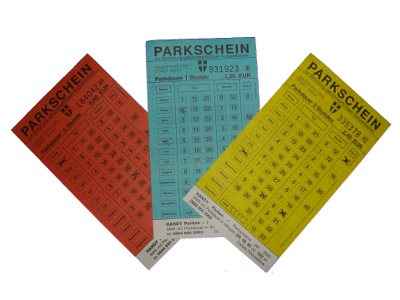 The parking tickets, which you need to mark yourself with the arrival time, are available at tobacconists (Trafiken), ticket vending machines in metro stations and at some petrol stations. If you don't want to spend your time with searching for a parking lot you should use one of the parking garages shown in the Vienna Tourist Map. 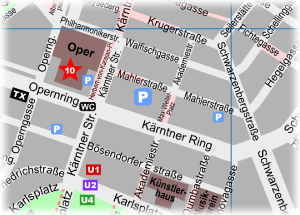 A good tip is the garage beside the Museumsquartier at the Museumsplatz 1 (AB1). The Museumsplatz is located between the Museumsquartier and the Maria Theresien Platz, just a few steps away from many attractions. Here you pay approx. 2 Euro for every hour and maximally around 10 Euro for the whole day. If you plan to stay for a longer time a cheap parking tip for tourists is the P+R garage in Erdberg, directly at the highway exit St. Marx (see directions Vienna center). Here you don't get only a good parking possibility but you avoid also the traffic jam at the drive to the center. 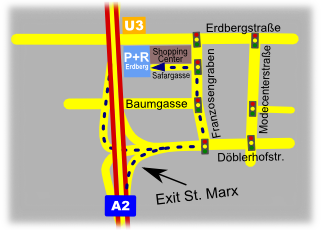 Directly beside the P+R Erdberg garage you can find the U3 metro station Erdberg. 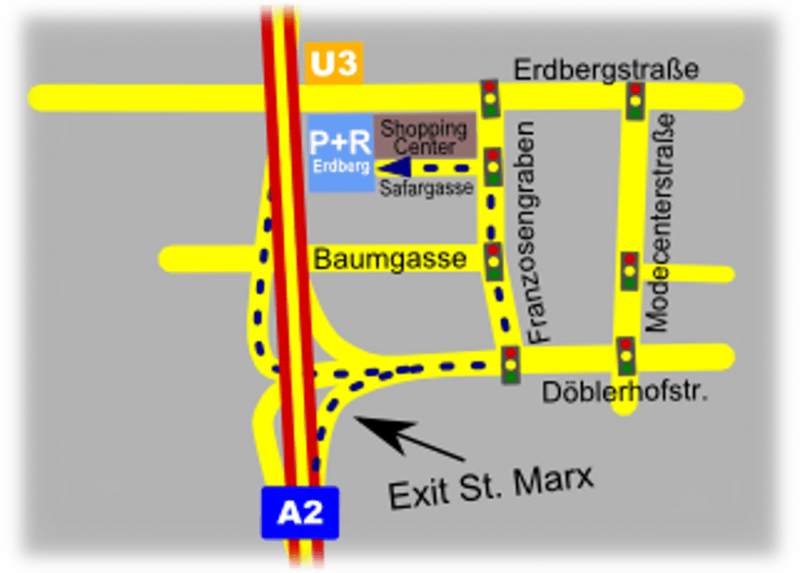 With the U3 you can reach the Stephansplatz (CD3) in the city center within 7 minutes. The fee in the P+R garage is only approx. 3,40 Euro per day. With that low rate you can save a lot of money compared to the cheapest daily rates of approx. 20 Euro per day which you pay for parking in Vienna center garages.